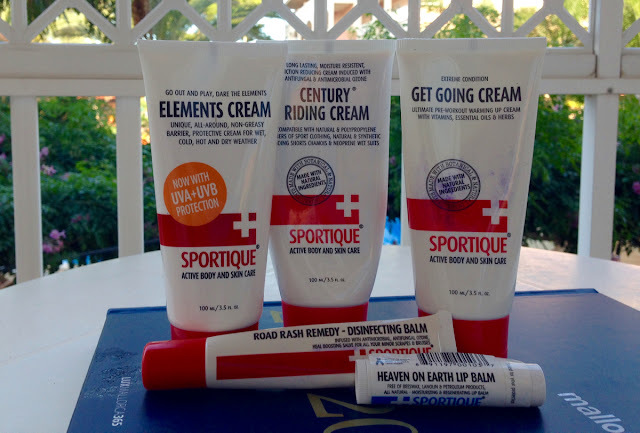 Applying a lip balm and the Sportique Elements Cream are two of my pre-ride rituals. The lip balm helps to avoid painful chapped lips, and the Elements Cream provides a unique natural protective barrier from the wet, cold, and from harmful UV rays. The seat area of your anatomy undergoes constant abrasion and friction while cycling. A good quality chamois cream will help to reduce friction, and reduce the chance of saddle sores. The natural ozone found in Sportique's Century Riding Cream also provides an anti-fungal and anti-microbial treatment, to help reduce the chance of infection. The cold and wet conditions of the British winter can make it difficult to get your muscles warmed up and functioning properly. Embrocation creams, such as Sportique's Get Going Cream are ideal to add some warmth before stepping out into the cold. 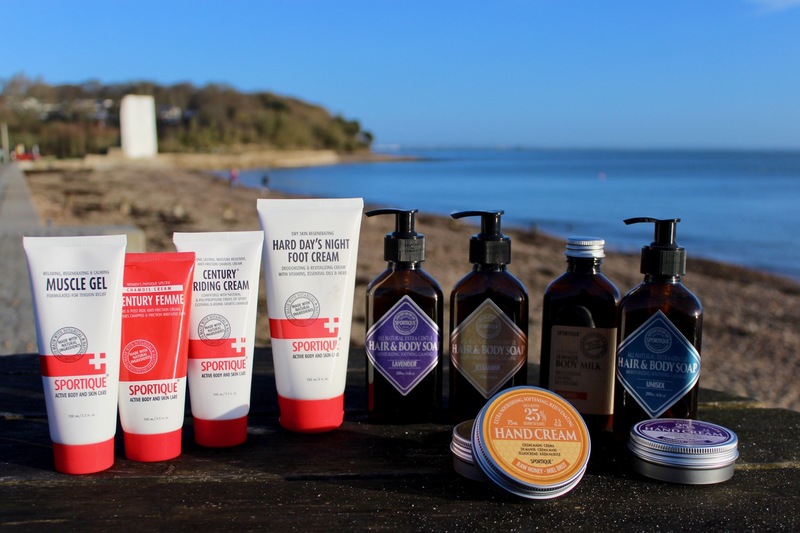 Like the rest of the Sportique range, the Get Going Cream is natural, and doesn't feature any of the harsh chemicals found in a lot of the warm-up creams on the market. Post-ride, removing the dirt and grime from your skin can be tricky. Often, it will require soap and a fair bit of scrubbing. Lots of the soap products on the market will only dry your skin out further though, and leave it irritated and sore. The Hair and Body Soap range from Sportique are beautiful natural soaps, which leave your skin feeling clean and rejuvenated. After you are washed and dried, it is time to help your body recover. The Sportique Muscle Gel uses natural ingredients like cloves and arnica, to notably reduce tension in your muscles and joints. Whether it is niggling pains, or just generally sore muscles, this is a great product to use. Bike riding, and bike washing (another essential part of winter riding), are hard on your hands and feet. Hours of damp and cold conditions leave them dried out, and at risk from microbial infection (Athlete's Foot). 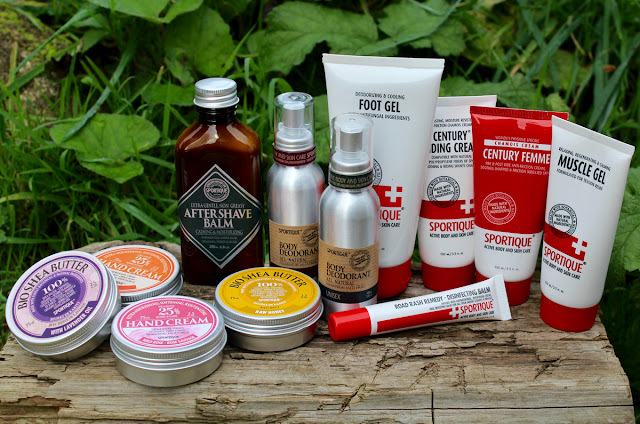 The hand creams and foot creams from Sportique are natural ways to restore freshness to your feet and hands. Finally, a worthwhile precaution for any athlete: avoid infection. The Sportique Road Rash Remedy is a disinfecting balm, which is ideal to treat grazes, cuts and small nicks. It is infused with natural ozone, which is anti-microbial and anti-fungal, so will help to combat any infections that might try creeping in. Looking after your skin and muscles holds a long term benefit to any bike rider. It will help to reduce ageing and painful infections, as well as improving the way you feel after a hard bike ride. Check out the Sportique range at sportique.net - Sportique can be quite tricky to get hold of in the UK. If you find a stockist, and would like it to be listed here on the blog, then please get in contact.